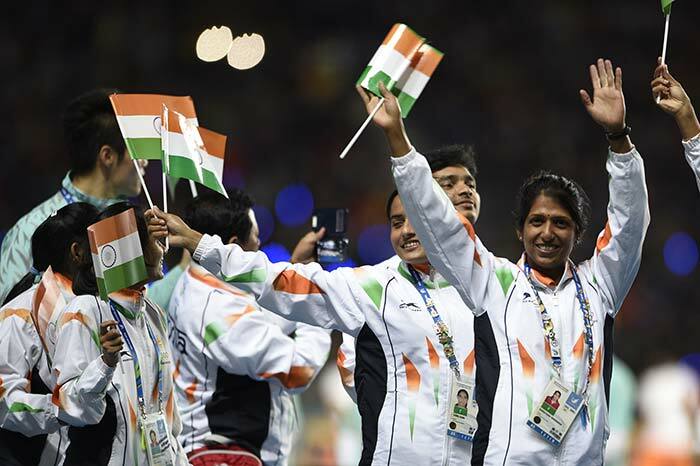 India, second only to China in population, finished eighth on the medals table with a total haul of 57, comprising 11 gold, 10 silver and 36 bronze. 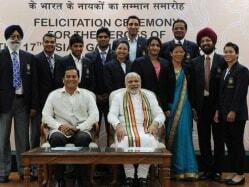 Four years ago, the country had finished higher in sixth position with 14 gold meals, 17 silver and 34 bronze. 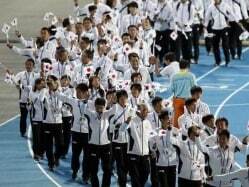 The closing ceremony was split into sections. 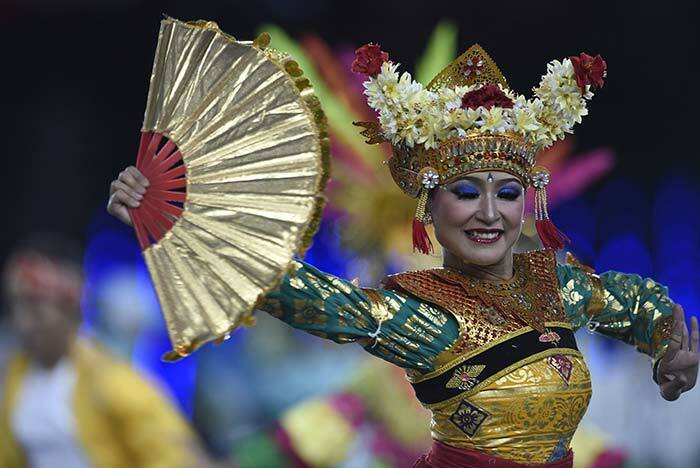 In the middle of the cultural show, athletes from various countries came in a mixed group to be a part of the festivities and soak in the atmosphere in cool weather conditions. 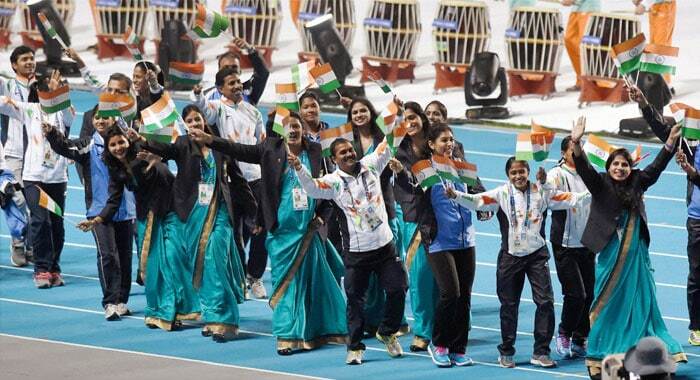 This free entry of athletes from competing nations also went well with the theme of these Games, 'One Asia'. 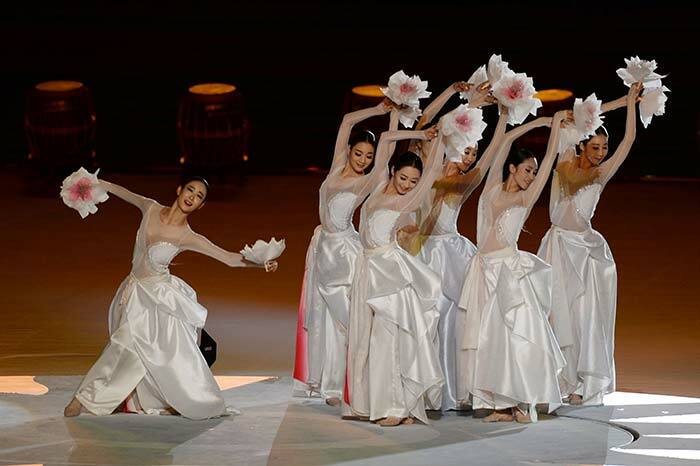 The first part of the ceremony witnessed performances from 'Rainbow Choir', the National Dance Company of Korea, National Gugak Centre dance troupe and a demonstration of the traditional Korean martial arts of taekwondo, which was a medal sport in the Games, and a performance by the Serotonin club drummers. The VIPs -- Korean Prime Minister Jung Hongwon, Kim Youngsoo, President of the Games organizing committee (IAGOC), Olympic Council of Asia president Sheikh Ahmad Al-Fahad Al-Sabah, Korean Olympic Committee chief Kim Junghaeng and the city mayor Yoo Jeongbok then trooped into the stadium guided by children holding Cheonsachorong, the traditional lanterns of Korea. 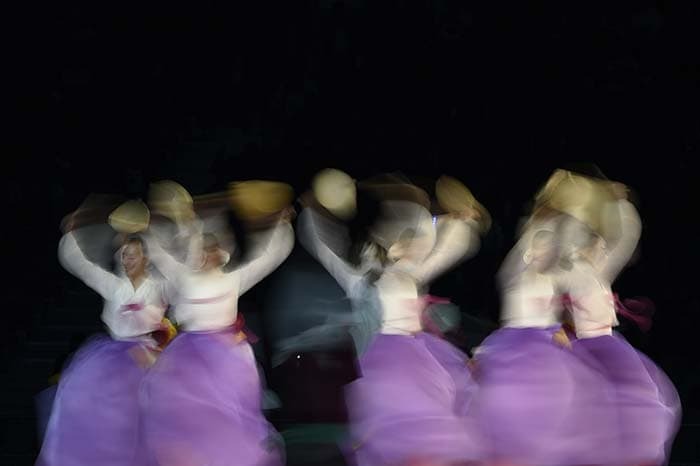 Seven women from National Dance Company of Korea, founded in 1962, performed a traditional dance "Chunsanghwa", which embodied a mythical maid or a celestial nymph flying the sky and warmly interacting with humans. 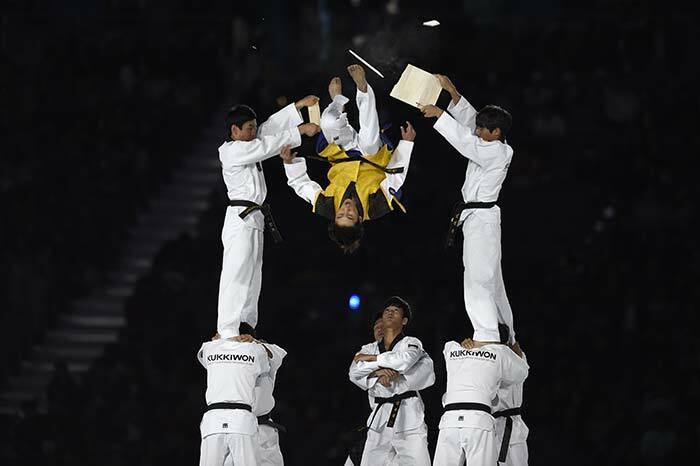 Members of Kukkiwon, a breeding ground for the martial arts of taekwondo exponents, then put up a grand performance to regale the spectators. 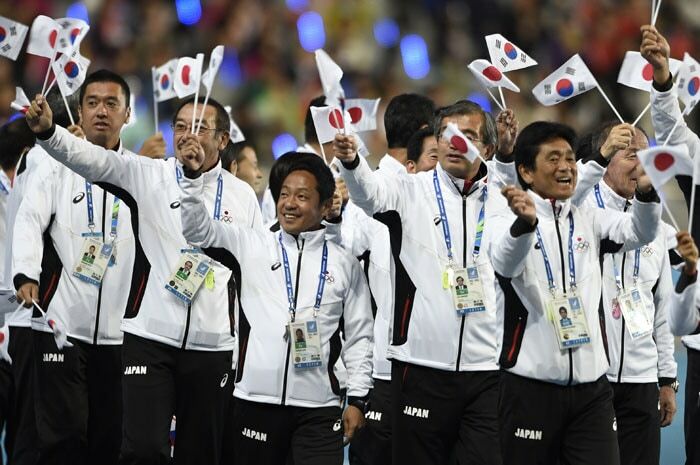 The award for the Most Valuable Player, decided by the number of votes cast by the Games accredited media persons and officials of IAGOC and OCA, that was won by Japanese swimmer Kosuke Hagino (four individual gold winner), was given away. 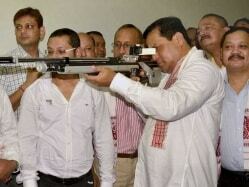 The torch and flag of the first Asian Games, held in New Delhi in 1951, and the OCA flag were handed over to the people's representatives of the next Games in 2018 to be held in Jakarta. 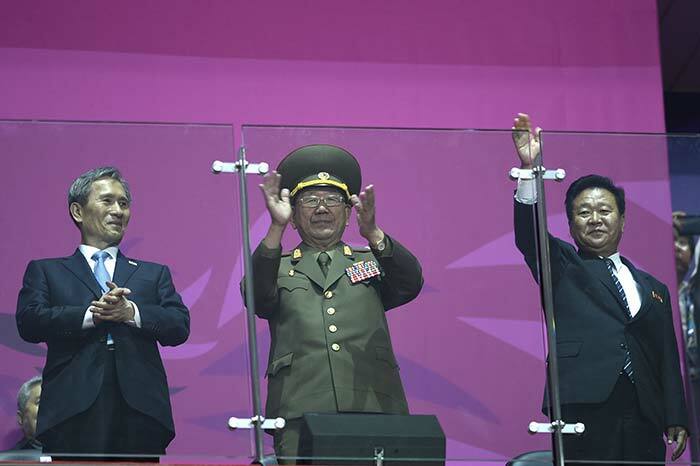 There was a brief dance and music show by the representatives of the next Games hosts. 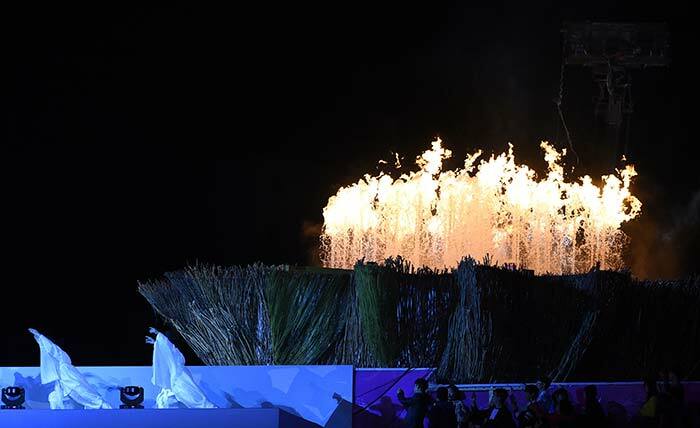 The Incheon Games flame that was lit on September 19, was extinguished, before fireworks erupted all around and the athletes departed from the stadium, to herald the closure of the Games.